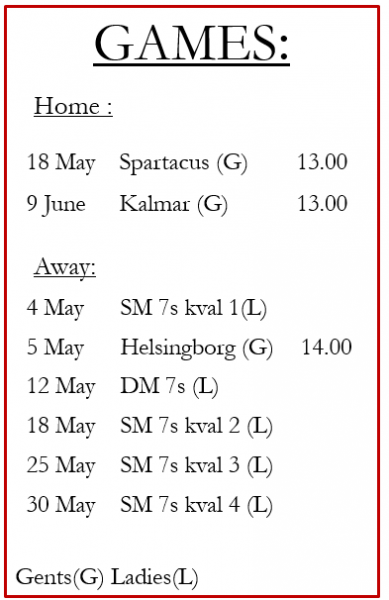 Due to Norrköping ladies not having a full team our last home game on saturday is cancelled. The pitch is booked so we will use this as an oppurtunity to practice for SM in 7s. All juniors and gentle seniors are welcome to come down as an opposing team, we gather at 12 and kick-off is at 1pm. We hope to put together 3 teams and make a mini tournament. As you may or may not know the LUGI Lionesses managed to beat Malmö/pingvin in 3 rounds of 4 and finished at first place in the southern qualifying rounds. We are off to play the nationals at Malmö Stadion on the 16th and 17th and July and need a lot of practice. This entry was posted in Management, Women's Team on June 16, 2010 by admin.